One of my biggest takeaways from working at Outward Bound was that if you take care of your backpacking gear, your gear will take care of you. As staff, we put in countless hours of cleaning and repairing camping stoves, tents, sleeping bags, sleeping pads, backpacks and more. And all those hours, blood, sweat and tears we put into the gear, was still cheaper than having to replace it and buy brand new stuff every time something really just needed some TLC. We also instilled ‘take care of your backpacking gear and it will take care of you’ in our students, because if you treat your gear with love and respect, it really will last longer and need less repair over time than gear that is just tossed around willy-nilly. 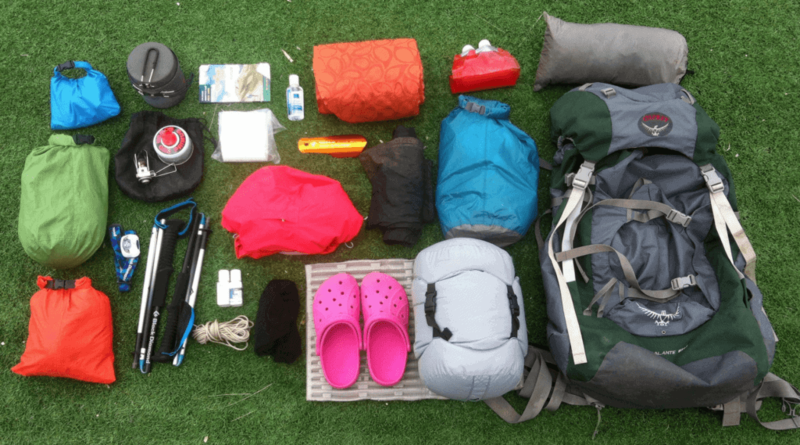 As backpackers and outdoor enthusiasts we carry quite a bit of technical (and expensive!) gear that is designed to keep us relatively safe and warm on the trail. But you have to regularly clean and repair your gear if you want it to last through many years of adventures. Never store it compressed. In between trips, make sure it is inflated, close the valve and store it under the bed, under the couch, or vertically behind a door and next to a shelf. If you don’t do this, over time you will notice it will get harder and harder to inflate and eventually just won’t fully inflate anymore. Be conscious of where you put your sleeping pad while camping, while you can’t always be too picky about your sleeping spot, try to always do a quick check and make sure you aren’t laying on any sharp rocks or sticks, and make sure you have something underneath your pad like a tent, tarp and/or footprint. Again, never store your down sleeping bag or puffy coat compressed. 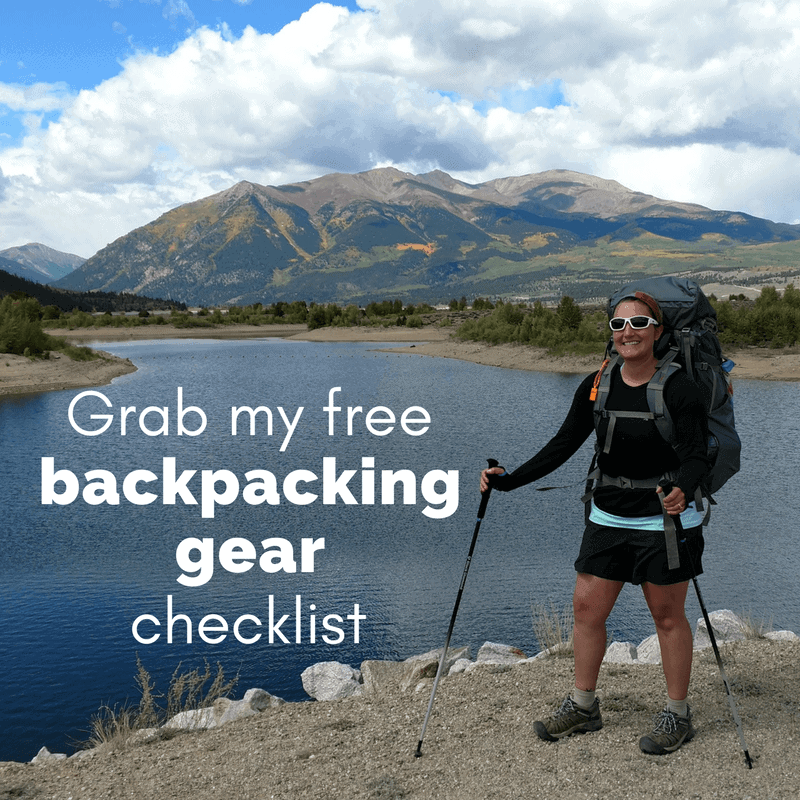 I know, I know, it packs down so wonderfully small, which is great in your pack, but unpack it and let it breathe when you get home. If you leave it compressed all the time, it will lose its loft and warmth rating pretty quickly. But where do you store your sleeping bag once it’s all loose and uncompressed? I have a long skinny space under my bed that I just shove mine into, kind of willy nilly, but there’s enough space there so it’s not too smushed. You could also lay your sleeping bag out flat under your bed, or get a pants hanger (the kind with two clips) and clip your sleeping bag to it either at the footbox or the shoulders and hang it on the back of a door or in your closet. Most sleeping bags usually do come with their own storage bag as well, to put it in loosely and then you easily can put that in the bottom or top of a closet. Make sure to wash your down sleeping bags or coats at least a couple times a year with down-specific soap. Do not use regular laundry soap on down. Down wash is made to clean and restore the feathers to keep them fluffy and separated from each other, which means they can continue to keep you warm down to whatever temperature it’s rated to. I use and definitely recommend Gear Aid ReviveX Down Cleaner ! After washing, dry on low/no heat with a few clean tennis balls. This will also help ‘fluff’ your down back up. It’s not a bad idea to dry synthetic sleeping bags this way too, to prevent the filling from clumping up. If you notice your rain jacket starts to look like it absorbs water when it rains, don’t fret. This is normal wear and tear over time and you can rewaterproof it with a spray. If any of your rain gear or tent gets wet, which it will, be sure to dry it out within a day or two so mildew doesn’t set in. It is not easy to remove mildew once it grows! Trust me, prevention is key here! Give your stove a good scrub with a toothbrush or scrubbie sponge and some dish soap if you start to notice built up grunge on it or it isn’t working properly. Usually if a stove is ‘broken’ really it just needs a good cleaning. If you have a white gas stove, invest some time on YouTube to learn the parts of it, how to take it apart and put it back together. And again, clean all those parts a couple times a season and replace any as necessary. This will be cheaper than buying a new stove whenever yours stops working. I hope this shows a good cleaning goes a long way! After each trip make sure to properly clean and dry everything before you put it away, this will prevent any rust, mildew, and hiker funk from building up. If you’re not sure how to clean something or if just a small component of your gear can replaced, just call the company/manufacturer, they are usually super friendly and helpful and can answer questions or send out replacement parts. And let me know your favorite gear maintenance hack in the comments! I’ll be bookmarking and adding your RSS feed to my Google account. I look forward to fresh updates and will talk about this blog with my Facebook group. Chat soon! Thank you! I’m glad you are enjoying the blog! Greetings! I’ve been following your weblog for a while now and finally got the courage to go ahead and give you a shout out from Kingwood Texas! Just wanted to say keep up the great job! Thank you and greetings to Kingwood Texas! Stop in and say hi any time. Very handy guide, most of it is common sense but most of us will store our uninflated bed rolls rolled up for the duration etc. We’ve just come back from a trip late Sunday night and gone to work the next morning promising to put all the gear away later in the week………..